Th e International Civil Aviation Organization, a UN specialized agency based in Montreal, Canada, is responsible for a complex system of global regulation that includes the rules governing everything from machine-readable passports to security systems at international airports. The organization’s standards and recommended practices (SARPs) are a key form of international ‘soft’ law, believed to be more effective than many treaties. At the same time, ICAO has been the venue of choice for negotiating the world’s most important counter-terrorism conventions relating to air hijackings and other air travel-related issues as well as a place for diplomatic engagement on some prominent terrorist incidents. 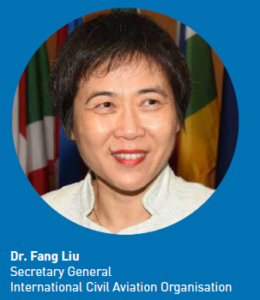 Dr. Fang Lui, the current Secretary-General of the organization, will discuss the achievements and challenges facing ICAO and other UN system organizations in an age that is generally skeptical of the value of multilateralism. J.E. Alvarez (Herbert and Rose Rubin Professor of International Law) and David Malone (UN Under-Secretary General, Rector of the United Nations University, Senior Fellow of the IILJ) will join her in conversation. Please RSVP here. This event will take place in the Faculty Library, Vanderbilt Hall, 40 Washington Square South.